That said, there are many reasons for you to be hesitant to place your pet in the cargo hold of a plane, ranging from ongoing health issues to their personality type. Flying in the cargo can be a harrowing experience for any animal. It's loud; it's turbulent; and it's full of bizarre sites, sounds, and smells. It’s not uncommon for animals to injure themselves by trying to claw or chew their way through a carrier. Some have been reported to break free and wander the cargo hold and others have even broken free of their carrier while on the tarmac! There are still other hazards outside of your control like the temperature of the cargo hold, or even unsecure items falling over. For instance, an Italian Greyhound, Murphy, suffered minor abrasions to the neck when bags fell on his kennel on a SkyWest flight in 2016. Other factors such as your pet’s existing health conditions (a 12-year-old Belgian Malinois died from a fatal respiratory issue due to the dog’s thyroid cancer) or even their breed (United is one of the only airlines that transports snub-nosed, or “brachycephalic” breeds, which are more prone to respiratory failure) can increase the risk. If you want to be as safe as possible, it’s best to forego the plane entirely and drive, keep your dog or cat in the passenger cabin with you, or leave your pet at home with a pet sitter or in a boarding facility. Of course, those options aren't always possible. So before you take your pet on a flight, and especially if they will be held in the cargo storage of the plane, take the following precautions. The cargo hold specifications might vary from airline to airline, but pilots can adjust the temperature based on the "load" in the cargo hold and any temperature-sensitive items, like your beloved pet. Though the pilot is given information about the cargo load before flight, it's always good to remind the pilot and flight staff that your pet is in cargo. Your airline might also have additional restrictions based on your departure and arrival locations. American Airlines, for example, requires that the temperature forecast in the departing and landing cities falls between 45° and 85° Farnenheit. Your pet will be loaded into the cargo hold, though their crate will be secured in an area apart from the rest of the luggage. The USDA also requires that you give your pet food and water within 4 hours of check-in, but not within 4 hours of the actual flight. Some airlines might provide water to your pet during the flight (a United Airlines representative said that airline staff would provide water), while others require that you provide food and water in the carrier or attached to it. In either case, it's best to ask your airline about their specific services and requirements, then provide your own food and water as well. For water, we recommend using a clip-on bottle like one of the options below. It's best to attach the water bottle to the outside of the container for dogs so they can't knock it off or chew on the pieces. (Of course, make sure to check with the airline about their specific requirements and whether they'll allow things attached to the outside of the crate.) Also make sure to teach your pet how to drink from the water bottle well before their flight. And since what goes in must come out, make sure to give your pet ample opportunity to go to the bathroom before the flight. Then place absorbent potty pads in their carrier (most airlines recommend that you do this since your pet will not be allowed out of the carrier during their flight). There’s plenty you can do to increase your pet’s chance of a safe flight. If you have a snub-nosed (brachycephalic) breed, either a dog or a cat, do not place them in the cargo hold of a plane. Brachycephalic animals are a very special circumstance and even more caution needs to be taken with them, given that they can already have a compromised ability to breathe. For this reason, some airlines will not allow brachycephalic dogs or cats to be checked and placed in the cargo hold. You should also take extra special care (and talk to your vet) before trying to fly with pets that have heart conditions, other breathing problems, Addison's disease, seizure disorders, diabetes, or anxiety issues. Get a check-up: No matter how healthy you think your pet is, bring them to your vet to make sure they are in good enough health to travel. This vet exam is both an opportunity to ensure your pet’s health and an opportunity to discuss any medications or other special steps you might need to take with your dog or cat before the flight. In fact, some states require a veterinary check-up, vaccination records, and more prior to accepting your pet on a plane. Check out the Animal Plant and Health Inspection Service Pet Travel page to find your state’s specific rules (as well as rules on foreign travel). And, of course, ask your airline about their medical requirements. Reduce travel anxiety: For pets with known travel anxiety, it's best to talk to your vet or an animal behaviorist and start managing their anxiety. Start early in order to work on counterconditioning training methods. It's not recommended to sedate your pet before air travel. The American Veterinary Medical Association says that doing so can "increase the risk of heart and repiratory problems." Some pets can benefit from certain anti-anxiety medications prescribed by a veterinarian or veterinary behaviorist. Note that if you do choose to medicate your pet to minimize fear for any reason, do not use acepromazine. Place a favorite toy and a shirt, blanket or other item with familiar smells in your pet's carrier (as long as your pet doesn't have a history of destroying and eating toys or clothing when they're stressed or bored). Pheromone sprays can also help to ease anxiety for some pets. Fly direct whenever possible: Flight transfers create a lot of potential problems for your pet. 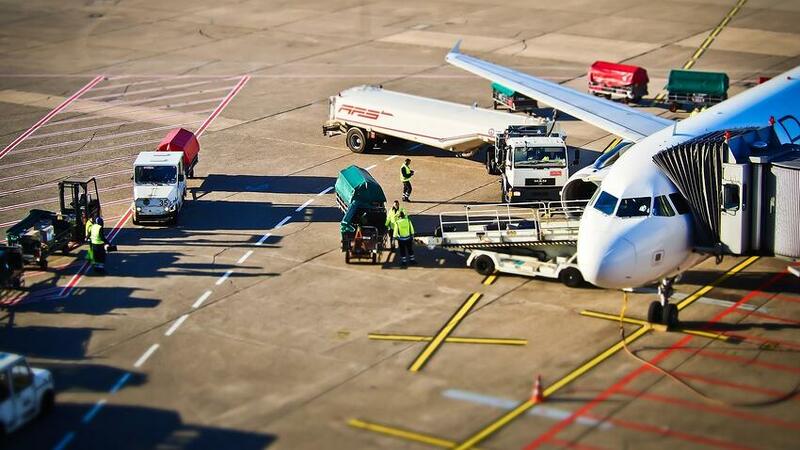 A transfer means more time in the cargo hold and more variation in the climate (you might depart from a cold climate and land in an extremely hot climate, either of which can be dangerous). Not to mention that a pet carrier can get misplaced just like a piece of luggage, opening the possibility that your pet will miss the connecting flight. If you have a transfer from one airline to another, you cannot bring your pet. Different airlines will not transfer a pet from one to another (in other words, if you have a transfer, it must be with the same airline). Find pet-specific transportation: You don’t necessarily have to fly on the same plane as your pet, and in an ideal circumstance you can arrange pet-specific transportation for your dog or cat with a company like Pet Relocation or other member of the International Pet and Animal Transportation Association. Just be careful when selecting your pet transport company, as this recent court case that Delta brought against a scam pet transport website highlights. Crate train your dog or cat: A flight is a highly stressful situation for any animal, and this will be far worse if your dog or cat already associates their crate as a scary place. Start crate training early and often so your pet sees their carrier as a safe space. This will help keep them calm during this stressful situation. Here’s everything you need to know about crate training your dog, and everything you need to know to help your cat love their carrier. Trim their nails: As mentioned earlier, some pets injure themselves during plane travel while attempting to get out of their carrier. This is another reason to properly train your pet (dogs, for example, have tried to chew their way out of carriers and injured their teeth and gums in the process) and to make sure your dog’s or cat’s nails are trim. Freshly trimmed nails will be less likely to get caught on the crate if your pet tries to scratch their way out. Get a collar and ID tags for the crate: Should anything go wrong, you’ll want to know right away. To reduce any confusion or delay on the airline’s part, make sure to put a collar or harness on your pet with up-to-date contact information, as well as a label on their crate. The ID tag should ideally lie flat against your pet’s collar/harness so it will be less likely to get caught on the inside of their crate, or if they try to struggle within. It’s always wise to have your pet microchipped with up-to-date information as well. Bring a photo: Carry a recent photo of your pet and their carrier (either hard copies or digital photos on your phone) in the unlikely event that your pet is misplaced so you can help the airline easily identify them. 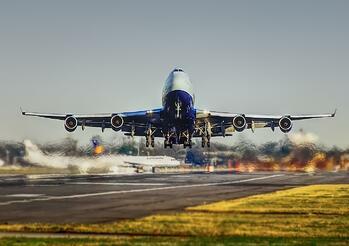 Lastly, ask your airline about what to do when you arrive at the airport. Some airlines allow you to bring your pet/carrier to the normal ticket counter for check-in (your pet will then be transported separately from the other baggage). Other airlines require you to take your pet to a separate facility at the airport. It's always safer if you are able to fly with your pet in the plane's cabin. They will be at less risk of temperature fluctuations and changes to air pressure, less prone to falling objects, and you'll be able to spot any stress, anxiety, or health problems early. However, you should carefully read your airline's rules about keeping pets in the cabin. You'll need to keep your pet in their carrier and there will be size restrictions for the carrier and your pet. In addition, flying is still stressful for pets, even in a carrier in the plane's cabin. Make sure your pet can comfortably remain in their carrier for the duration of a flight. Still be sure to get a checkup at the vet before your trip, and look into any anti-anxiety training you might need to make the flight as stress-free as possible. As you can see, heart and respiratory issues topped the list. Most cases resulted in zero “corrective action” by the Department of Transportation, other than some instances when the airline offered to refund the “pet fee” and pay for the necropsy. It bears repeating that these tragic cases are severely in the minority (literally 99.99 percent of animals are neither killed nor harmed during air travel, on average). Before flying, it is still valuable to look at past incidents for your airline of choice, especially if your pet is at risk for certain health conditions that make them more susceptible to harm during flight. Animal Incident Reports are available on the DOT website public Air Travel Consumer Reports. You can find the pet-specific portion of these reports in the last few pages of the downloadable PDFs, which provide links to more detailed death and injury reports from each airline. The reports are broken down by month, though annual summaries are also available in some reports. For example, you’ll find the 2016 annual report on page 54 of this document. Once you feel comfortable with your airline, your pet has been checked at the vet’s office, and you feel they’ll make it through the flight with as little stress as possible, it’s always wise to book early, preferably several months in advance to make preparations for yourself and with the airline. Early booking will also allow you to find cheaper flights and, ideally, direct flights. Airlines have varying limits for how many animals they allow in cargo, so book early and let the airline know you will be transporting a pet. You will also be required to pay a not-insignificant fee to transport your pet in cargo. United Airlines, for example, charges $271 plus tax for domestic flights and Alaska Airlines charges $100 fee each way. Finally, a common recommendation from groups like The Humane Society of the United States and even the Department of Transportation is to notify the pilot and a flight attendant that you have a pet in the cargo hold. This might feel a little awkward, but it can help the pilot and crew remember to adjust the cargo hold temperature for a beloved pet. Overall, it’s always preferable to fly your pet in the cabin with you, but don’t try to fake your pet as a service animal to do so. If you’re in a situation where you absolutely must fly your pet in the cargo hold, take the proper precautions discussed above to minimize the risks and keep the flight as safe as possible… for everyone. If you're leaving your pet with family, a friend, or a pet sitter, provide them with this Treatment Authorization form, so they'll be able to take your pet to the vet for immediate treatement if anything happens while you're away. 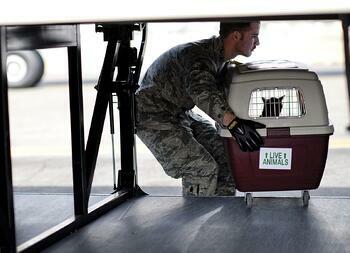 Have you traveled with your pet by plane before? Share your pet travel experiences in the comments below!